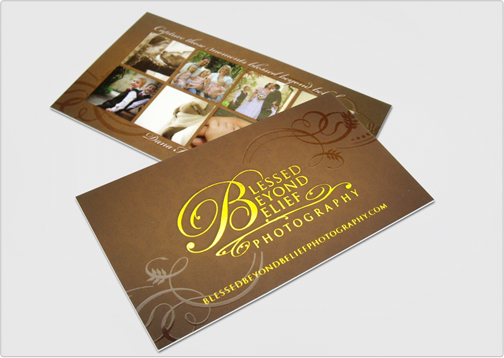 The Blessed Beyond Belief Photography business card was designed by Taste of Ink Studios keeping elegance and simplicity in mind. The design is highlighted with spot gloss and decorative gold foil. The images on the back of the card are complimented off the silk cardstock with a coat of spot gloss.